When it comes to home design, lighting is understated. If you’ve ever been in a home where the lighting is all wrong, you'll know how important it can be. You’ll also know how hard it is to get right. An idea that seems good on paper doesn’t always translate well. But mistakes will be made - that much is inevitable. How long have you spent on designing your own home?! Once you move in, it tends to be at least 2 years before you can finally say ‘finished.’ You have to be in it for the long haul. So, if lighting is your next concern, this post will hopefully help you eliminate those mistakes. At the very least, you’ll gain some nuggets of advice to use in the future! Ever walked into somebody’s home and been blinded by the incredibly harsh lighting they had on display? It makes you feel uncomfortable, and it’s not a nice room to be in. If your living space is already white and modern, adding a pale light to that room will light it up like a Christmas tree. Similarly, if your living room is already full of color and accents, adding a warmer light to that space can wash out all the other color in the room. If the furniture in your room is already colored, then a paler, whiter light will go much better. 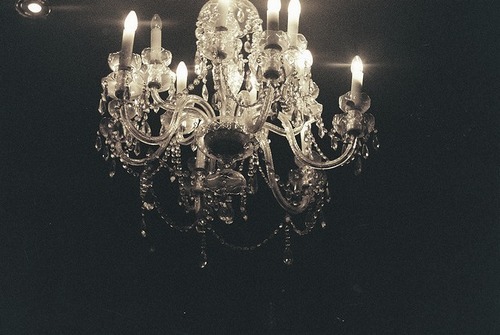 I’m sure you’ve all seen those majestic chandeliers and the more subtle, miniature pendant lampshades. Different styles of light will work better in your home than others, so it’s important to buy the right one. For example, if you live in a more cottage-like home, then old fashioned light fixtures like brass would be more suitable. These aren’t always readily available, and you’ll have to shop around - though you could try and get it at Plum Goose. On the other hand, if your home is modern, then sleek black or white lamps or arching lamps would look best. You can’t have it both ways - a modern home with old-fashioned lighting. It probably won’t work. Try and match the two! You don’t need an overhead lamp or a standing lamp in your lounge - a table lamp can work just as well. If you choose a big, bold one, it can become the focal point of your room and make one hell of a statement. Table lamps work best when they’re made to stand out from the rest of your decor. For example, a gold lamp with a black shade would work well in a low-key lounge. Nature is the gift that keeps on giving! If your home is lucky enough to have a couple of good-sized windows, don’t let them go to waste. Make use of them! Natural lighting can look just as flattering as fake lighting, especially if used correctly. You can even dd windows if you like, and you should. Windows can add a lot of money to the value of your home. Plus, this allows you to direct the natural light yourself. You could even try tinting your windows if you want to make the light a different color. This way, you can transform that pale, harsh sunlight into a comfy orange glow. Natural lighting works best in rooms that aren’t used as relaxation areas (bedrooms, lounges). In those spaces, fake lighting works best because it’s more welcoming.